guard in the Phenology Research Garden at the corner of Olentangy River Road and Woody Hayes Drive. This 15 ft. tall steel sculpture was designed and built by sculptors Pat Belisle of Plain City, OH (facebook.com/PatBelisleArt) and Chris Saylor of Marysville, OH. The science of phenology studies recurring biological phenomena such as the blooming of wildflowers and trees. It also studies such phenomena as bird migration, the seasonal appearance of insects, and the relationship of weather patterns to the seasonal appearance of insects and bird migration. Annabelle's presence in the Phenology Research Garden reminds us of the dynamic relationship of plants, insects, and environment. 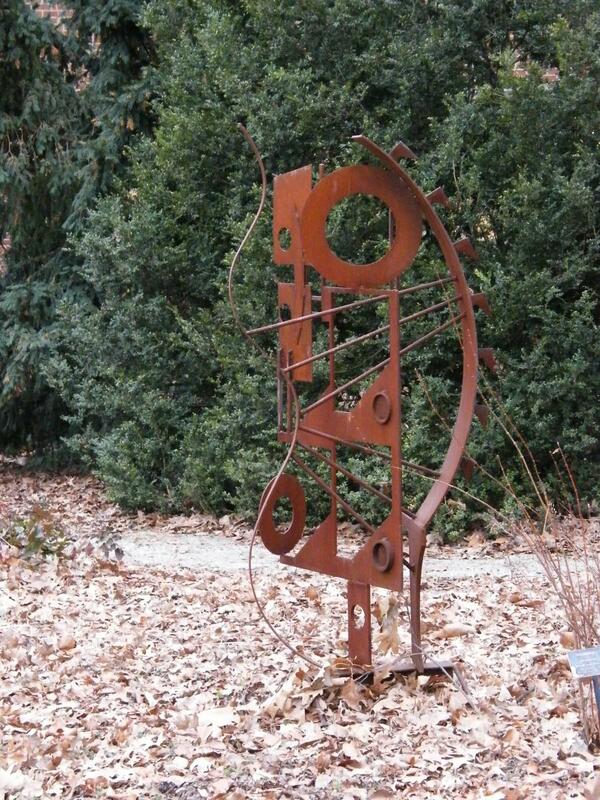 Pat Belisle is a local artist who contacted Chadwick Arboretum & Learning Gardens about displaying his metal sculptures at various locations in our arboretum. This opened a door to discuss our dream of bringing a monumental insect sculpture to our gardens to create a visual for pedestrians who frequently walked by, but didn't engage in our gardens. 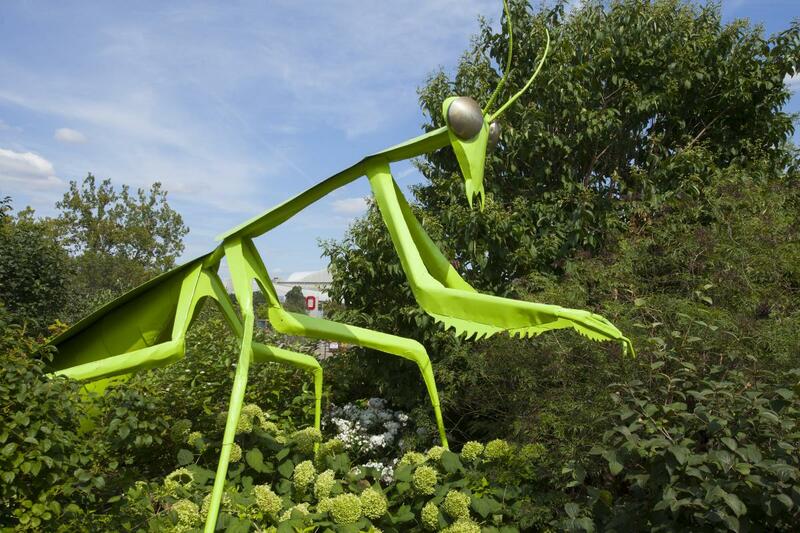 Annabelle the Praying Mantis sculpture provided a monumental, colorful engagement portal increasing the numbers of visitors in our gardens. 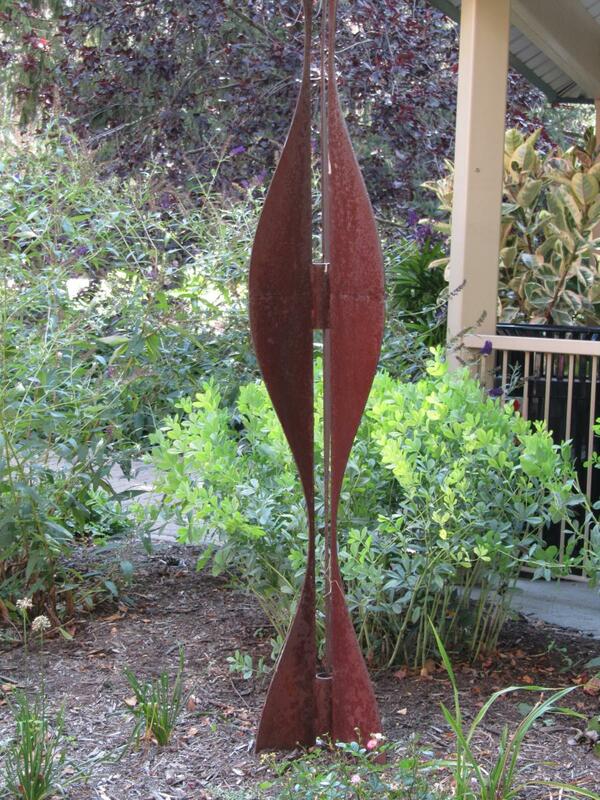 Visitors can enjoy additional sculptures by Pat Belisle that are featured throughout the arboretum.